For 15 years, Tristan has tried to cope with hearing the thoughts of others. But that was child’s play compared to what he must do now. When an old woman appears with a murderer hot on her trail, Tristan is thrust into a world of trickery and manipulation. With secret societies tracking his every move, Tristan must find the possessed emerald he was destined to protect and learn to control powers he never knew he had. Only, Tristan never was any good at doing what he was supposed to and the consequences for screwing up now could cost him everything he’s grown to love. Be open to what beta readers suggest, but stay true to your story and characters or everything will get messed up. Learn the craft before you do it your own way–some of those rules actually make sense. Trust your gut, unless you’re in one of those impossible moods. 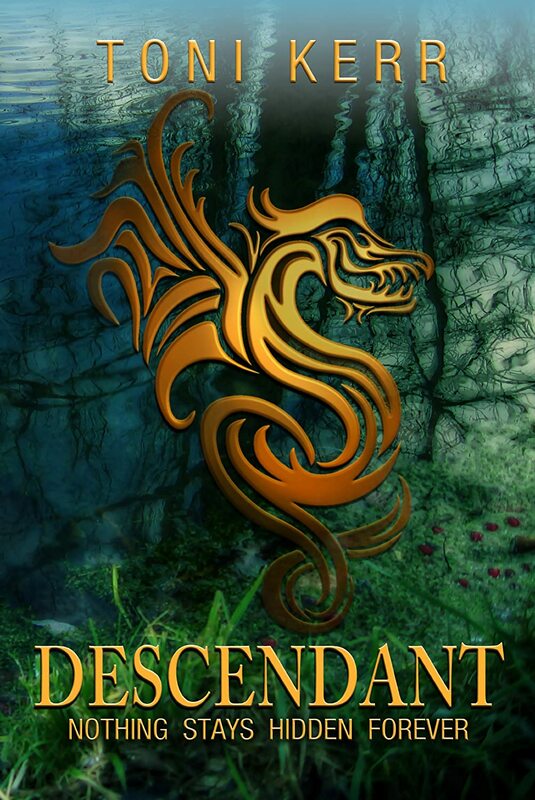 Descendant is one of those stories that moved into my head and would not leave me alone. Ever. At the time, I thought if I wrote it down, I might be able to sleep at night. Ha! The obsession sent me on a lifelong adventure immersed in the craft of writing with friends around the world. And after nearly ten years, I have learned the writing rules and I have broken them. Because plots/life are not always simple and straightforward. Characters/people aren’t always dealt a winning hand in the first game. Characters/people don’t always know what their destiny is until faced with the right circumstances—and even then they don’t always make the “right” decisions. And, teens don’t always have the social grace and maturity of high society—sometimes they have fits and stubborn streaks that get in the way. Descendant, book 1 in the Secrets of the Makai series, is a character driven, coming-of-age adventure mixing elements of mystery, magic, and the supernatural. Book 2, Unleashed, will be released June 5th, 2014. Toni Kerr lives with her husband, two dangerously creative children, and a fabulous Australian Shepherd in the Pacific Northwest. She loves the outdoors, horses, the high desert, Photoshop, music, salty things, and writing in the wee hours of morning when all is silent.